This was sent exclusively to Linda Ikeji from a family source. 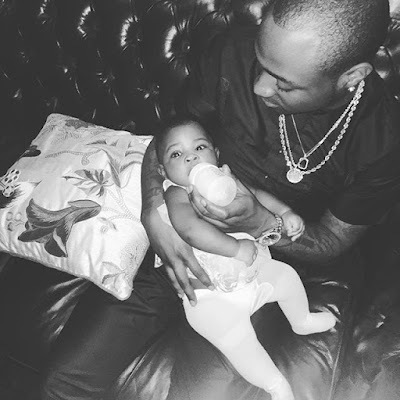 Davido poured out his heart in this long and revealing piece and even shared this photo of baby Imade Adeleke having a breathing exercise as exhibit. It's administered nightly to help her lungs because of exposure to second hand smoke and cannabis infected breast milk. more could be done to alter my status as a father-to-be. I knew that i was not ready to be a dad. Still, I adjusted myself to the realities of my new situation and the consequences of my past personal indiscretions. I own my property at Lekki and had allowed Sophia to stay in the house because she claimed that she knew nobody in Lagos and that her father was deceasedwhilst her mother was resident in Abuja. For real, Sophia was a drifter without a dime, education nor career. My compassion, ignorance, naivety and poor judgment had combined to make me a victim to a much older lady with super cunning sense that was mixed with a vicious and diabolical nature. I stand accused but calmly accepted my responsibility for the sad misadventure that caused me to be a seat-mate with Sophia on a plane that was flying nowhere. All along, I have only been generous with Sophia without knowing for sure I was the father to the baby she was carrying. On May 14, 2015, Sophia delivered her baby named Imade. It was after Sophia had deliveredthe baby that DNA testing medically confirmed that I was indeed the biological father of our child named Imade. 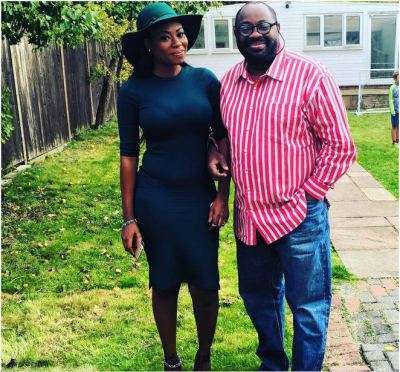 Uncle Dele Momodu, now the pompous moralist, never visited Sophia nor even delivered an ordinary greeting cardto Imade nor to her mum. Throughout the many months that Sophia stayed at my house when she claimed she has no family in Lagos, Uncle Dele Momodu and his bossy wife never showed up at my house to say hello to either of us. The case of MrsMomodu baffles me even more. Why did she not think it necessary to move to Sophia’s apartment to help her out and show her the tricks of motherhood when Imade was newly born. Not once did she visit Sophia and her baby until December 2015. She gave neither care, love nor financial support to Sophia. 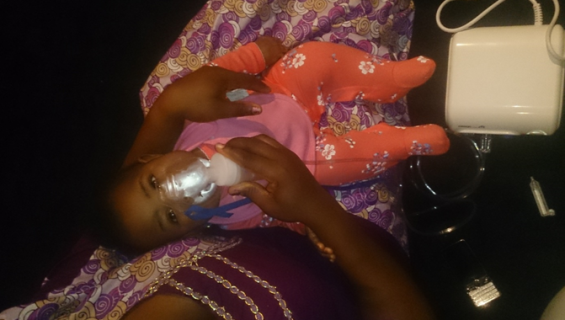 Now, at 7 months old, and a child with special medical needs, MrsMomodu rushed to the Lagos Airport to make an awful botch of her standing as a mother: MrsMomodu certainly not a good person. She put time and energy to prevent my daughter and I,the real father of Imade, from travelling aboard to keep an appointment with the American Hospital, Dubai. At the point of dying in November, 2015Imade had been rushed to this medical facility in Dubai, where she received helpful and adequate treatment, and was duly returned to Nigeria, without any side excursions. What then suddenly propels the fear or dangerous love ofMr&MrsMomodu for Sophia? I deeply sense this couple never loved Sophia nor her late father. They also resent her mum, and probably are jealous that Sophia ever became a mum herself, and thus, wish that Sophia’s daughter who is also my daughter, must needlessly perish. Where is the inherent value in a callous human ploy that directly intends to prevent a child from receiving necessary medical care aboard once the biological father, DavidAdeleke, the child’s grandfather and all my siblings who are uncles and aunties to Imadeare booked to fly on this essential medical trip to which we have attached a restful family vacation? Sophia ain’t a member of our family, period. Surely, Sophia was not with Imade when she first visited Dubai, and yet Imade was promptly returned to Nigeria. And no one said Sophia cannot come to Dubai except that I declared that I don’t want the trip to seem like a spousal get-away. Sophia ain’t my wife and I refuse to let any action conspire to make us look like a couple. She seemed unable or unwilling to pay her way to Dubai. Also, her boastful Uncle, alas, refused to volunteer to pay her way to Dubai. I never suggested to an elder what he should take up as his personal responsibility if indeed he cared at all for Sophia as his robust involvement in our odd relationship wishes to establish.MrMomodu never bought the ticket but wanted to enforce his cosine to join my family on this Dubai trip. Dangerous lights are furiously blinking red around my daughter, Sophia and my person. 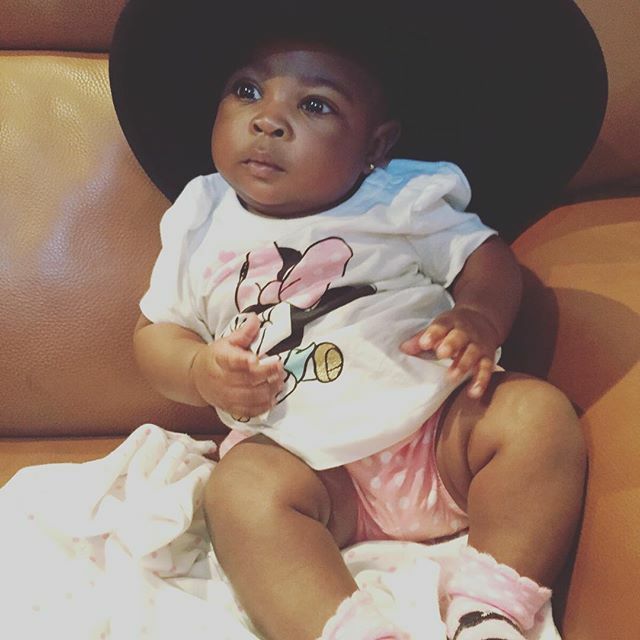 Uncle Dele Momodu and his wife are providers of the energy espousing the idea of a needless death to my daughter. I now say it loud and clear, should my daughter die, this strange couple are mainly responsible. 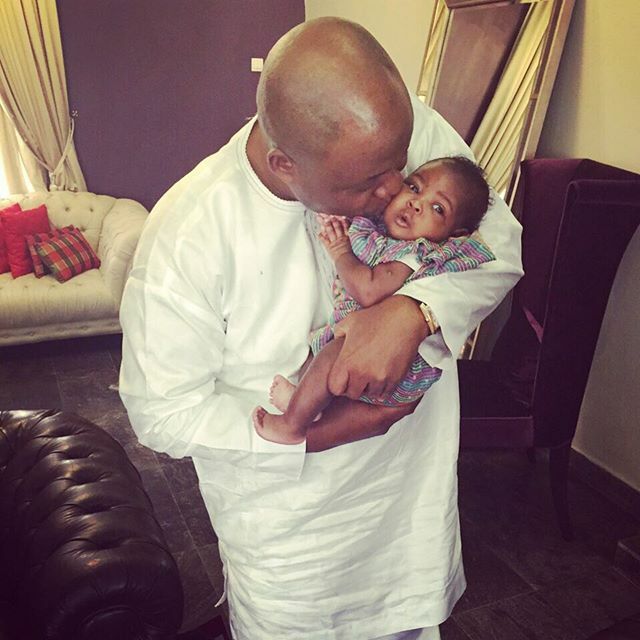 Mr Dele Momodu should just leave me and my family alone! His daughter is not who had a baby for me, and he has been too much of an absentee uncle to Sophia to have any traction on the moral authority that commands the soul and heart of this matter. Sophia Never formally introduced him nor his wife to me, at anytime. Why are they now crowding my space and that of my daughter? Within a matter of weeks, Sophia missing and lusting for the streets of Lagos, especially the glitzy night life. She often left Imade home for clubbing, binge drinking and a life of debauchery and deviant living. She would sleep all day and party all night. When awake, she was addicted to the telephone and cannabis. She paid the baby no attention at all and seem to despise motherhood and parenting. Imadewas in her custody for2 straight months, unchallenged and uninterrupted, until the baby took badly and severely ill in July. Imade cried, ceaselessly, for 48 hours. She was rushed to the hospital where her condition confounded medical experts. Several tests were conducted on her and later on the mother. 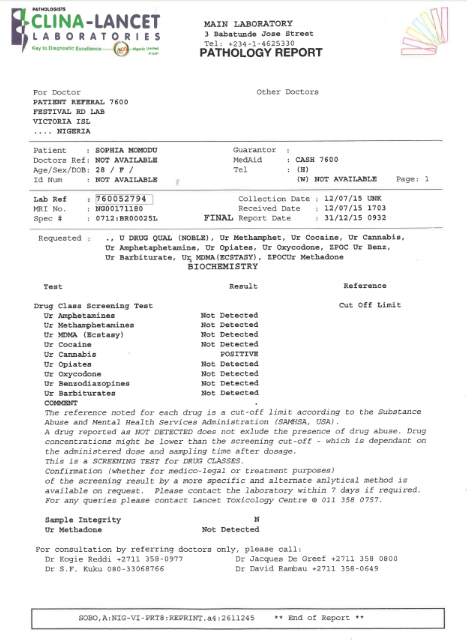 Medical reports, herein attached(exhibit 1), proved that Sophia’s blood was polluted to the maximum level with cannabis and she had by the process of breast feeding infected her child with complicated medical conditions associated with the use of alcohol and especially cannabis. The trouble spot for Imade was her lungs. She had difficulty breathing largely because of the contaminated breast milk and the severity of the “Second Smoke” of marijuana inhaled by the poor child. Voluntarily, Sophia, in the attempt to avoid the handing over of the baby to the children welfare authority, agreed to a compromise position that she would transfer Imade to the Adeleke family until the cannabis in the systems of both mum and daughter was completely outand comprehensively cleaned out. The medical expert also indicated that the full damage to Imade’s person could not be ascertained right away and that her mental state now or in d future could not be determined nor predicted until perhaps when she would have attained adulthood. This was why and how Imade was transferred tothe custody of the Adeleke family. 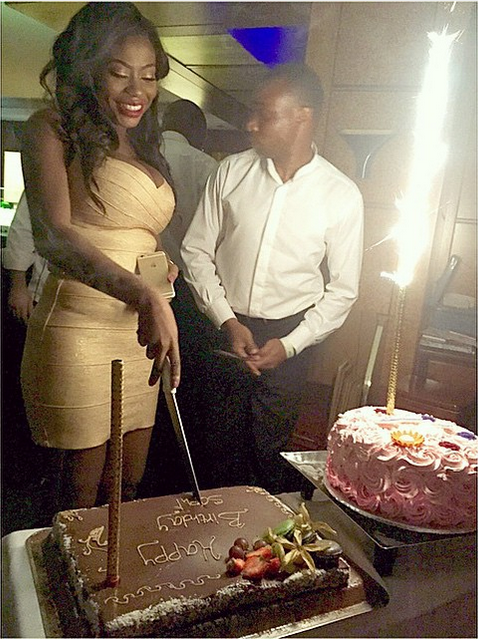 Meanwhile,Imade was increasingly worse off in wellness and she had to be flown to the American hospital in Dubai. I wrote a letter of release authorizing my sister to travel to Dubai with Imade. The hospital saved Imade who was returned to Nigeria with a medical equipment that had to be used daily to enable Imadeto gain restful sleep and balanced respiratory rhythm. The photograph of this equipment is hereby attached. If Imade had not gone to Dubai, it is fair to say that she may not be alive today. Still, some people prevented her from keeping a follow-up appointment at the American Hospital in Dubai.For the silliest possible reason.My family would not pay for Sophia’s flight ticket and thus Imade would be disallowed from traveling for the vital purpose of medical conditions that lend oxygen to her life. 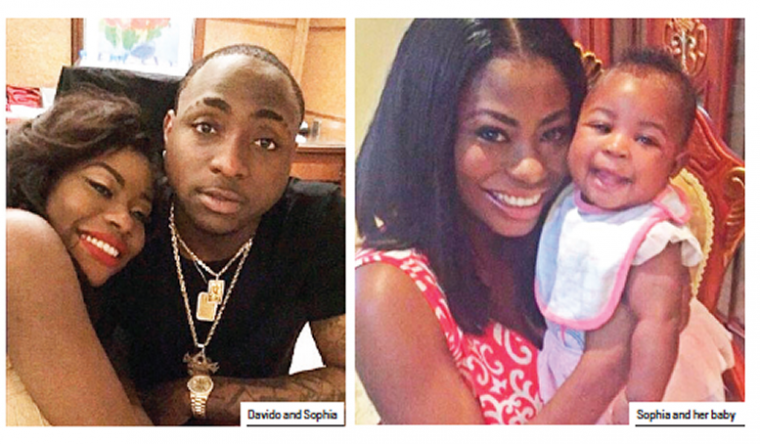 Which is more important to Mr Dele Momomdu, the ticket for his cousin or the overall wellness of Imade? And why can’t this glamorous uncle buy the ticket for Sophia so that the life of imade is not compromised? The claim has been made that the aborted trip to Dubia was to takeImade to America. This is not true.Imade’s Nigerian passport is right now with the Immigration Office with no American Visa embossed on it and Imade, though qualified to possess an American Passport because her dad is an American citizen,still does not possess an American passport. True,her passport is being processed but the truancy of her mother has caused a major delay. I therefore ask, how willImade have entered America without a visa on her Nigerian passport? The great dynamics of lying is that the liar is the first to know that he has told a lie, and the lies told would certainly demolish his integrity and the peace of his soul. 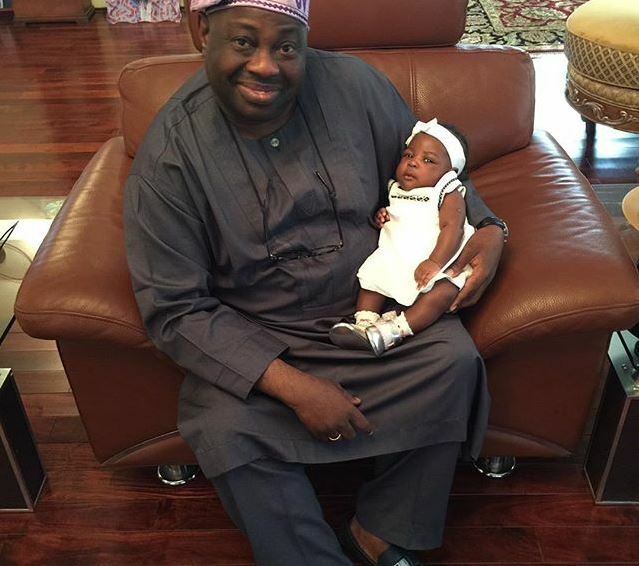 Uncle Dele Momodu, beware! I offered to buy her a car and suggested a Toyota brand or Hyundai. She lost her cool and told me off. She wanted a fancy jeep and preferably, a Mercedes Benz Jeep. I laughed because she just wanted to be a Lagos Big Girl for nothing. She hardly can cope with the cheapest car much less the ruinous cost of maintaining a Mercedes Benz vehicle. In December she received 500,000 naira as her allowance without doing anything for Imade. Life is not a bed of roses. Neither have I ever promised Sophia a rose garden. Her spontaneous motions of delusions utterly baffle me! On her twitter page, she claimed she has recovered Imade from captivity. But Imade never was in captivity. Sophia certainly knows where Imade is. And it is where she left her on December 28, at my father’s house. What is the lie about? Sophia also claimed that she hasn’t seen her daughter in 5 months This cannot be true. Sophie spent every Sunday with her baby at my father’s house since July 2015 when she voluntarily transferred Imade to the Adeleke family after the cannabis incidence. She and her daughter constantly appear on her face book and twitter pages throughout this period of 5 months. What manner of unreliable and lying person is Sophia.? The picture of your reconciliation with Imade after “captivity” that you posted on your twitter page came directly from the photo shoot that you posed for at my father’s house during your Christmas stay. Why can’t you ever be affable with truth nor have a relationship with honour? Life is beautiful if we all live in simple ways and do not engage criminal gadgets to replace integrity and honour. Your worthless videorecordings has achieved nothing.But exposed your naivety and lack of decorum. Your recordings cannot alter the fact that I am “Davido” father of Imade and it cannot force me to be the husband of your cousin. In truth, I don’t know if you are uncle or cousin to Sophia. The word uncle has lost it esteem since the timethat sleazebucket took over our land. 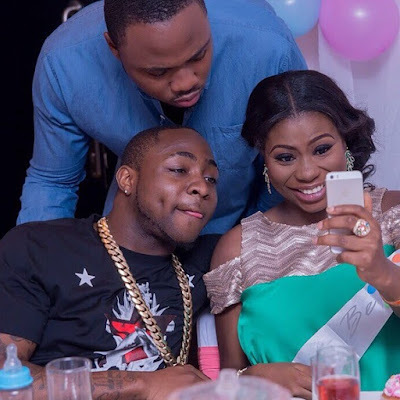 Still, Uncle Dele Momodu, it is immoral, unlawful and unethical to clandestinely record anyone, especially friends and family members. This scandalous act truly got you slaughtered and put a new slant on your person. Late evening on December 30, I responded to your vicious internet publications that attacked me and my family. As you well know, my response was a slam dunk that hurt you badly and diminished your person. You perhaps deserved what you got. But my father’s counsel and the love I have for Imade prompted me to recall the arrow aimed at you. You see, my father raised me well, and I promptly complied with his advise. I thus deleted all references to the issue of December 29 at the Airport and apologized to you in particular along with all my fans. I showed you respect even if u had drunkenly provoked me. Instead of reciprocating with love and elderly wisdom, you sustained your attack of me with even more venom and hatefulness. With all due respect for my dad, I am compelled to speak to your lies and your simulation of grand self-importance. I am 23 and you are almost 60. Your cousin has a baby for me. Rather than bring us together as a family, you wished for glowing embers to come out of cool cucumber. You know damn well how to grandstand. This is why you instructed your lawyers to put garbage on the internet in a matter that should be showcased in the court of law. Uncle, who offended you? 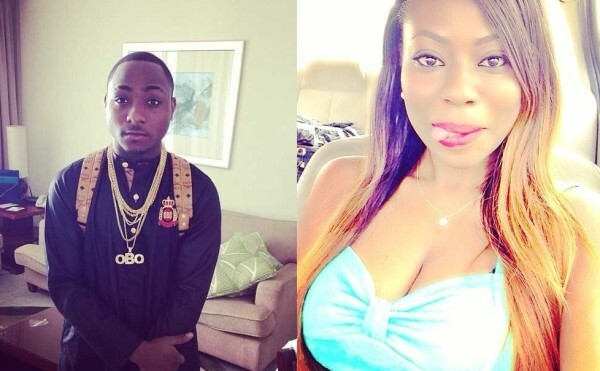 Is it Davido, Sophia or Imade? It cannot be my late mum after whom I named Imade. Is it my gentle dad? Why have you engaged yourself in a bitter private vendetta with my family? Uncle, you will have your day in court. But you will soonest be forced to embrace the fact that the crowning glory of your puffing and pride rests in your stunning emptiness. Again, I dare you, publish the garbage in your vanity trunk or perish!. There is nothing better in life than to tell the truth and pray. May God ever stand by me and deliver to me my dreams and wishes. May He also deliver to your own children their dreams and desires. Uncle Dele Momodu, please, please leave me and my family alone even if it is clear, by God’s will, that you can’t do us a thing. As for me, this is the end of this conversation. May God lead both of us to the righteous path.I thank you very much, sir.